For this short week, we thought we’d have a little show and tell. Just in time for Easter, Amy’s finished the rattle for her daughter. You can see the finished bunny in action on Instagram @sunspunyarns – that bobtail is the cutest ever! 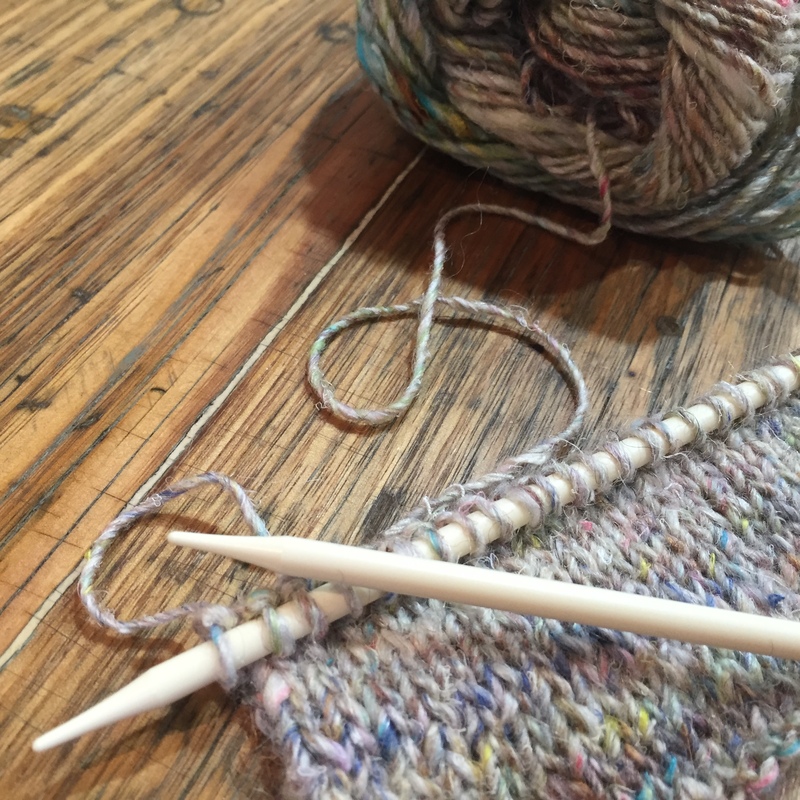 Nicole is swatching with the new Noro Silk Garden Solo, which is the same silk–mohair–wool yarn base in single, subtle colourways. I’ve just started on Helga Isager’s Siberia Anorak using the Rowan Kidsilk Haze and Isager ALJ yarns. Can’t wait to see how it looks when it’s all grown up; the yarns certainly work well together and the fabric is very squishy. It’ll be a warm one, this. Drop by and pick up your Easter supplies before we close on Friday (we reopen on Tuesday). 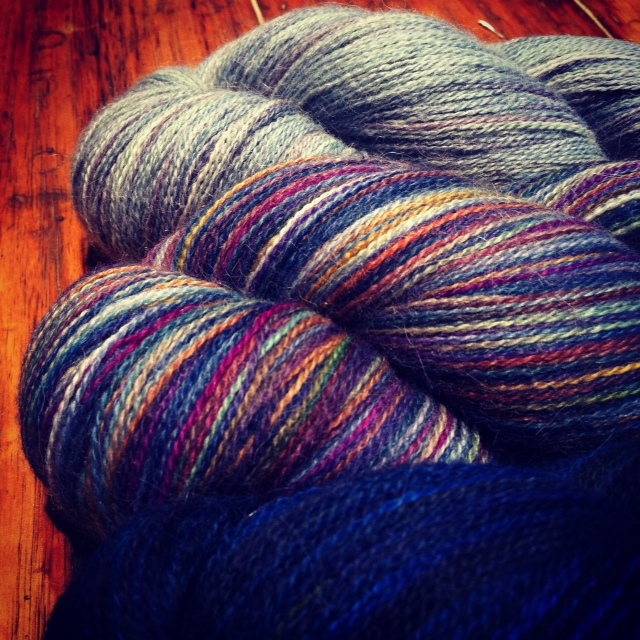 We also have some yarns on sale – perfect for that holiday project. See you at the other end of the holidays. Have a safe one. Categories: FO's, Sale!, WiP | Tags: yarn sale | Permalink. This month, we’re celebrating the beginning of cold weather with a sale on three of our lines, Misti Alpaca, Jo Sharp and Eki Riva. 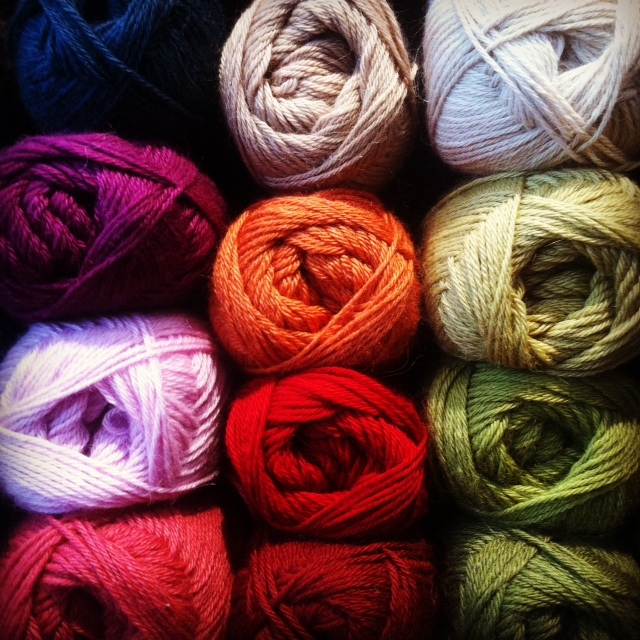 We’re taken 40% off selected yarns, which makes for happy winter knitting! These prices apply to both in-store and phone/ email sales and will hold until all stock is sold or until the end of May, whichever comes first. Enjoy! 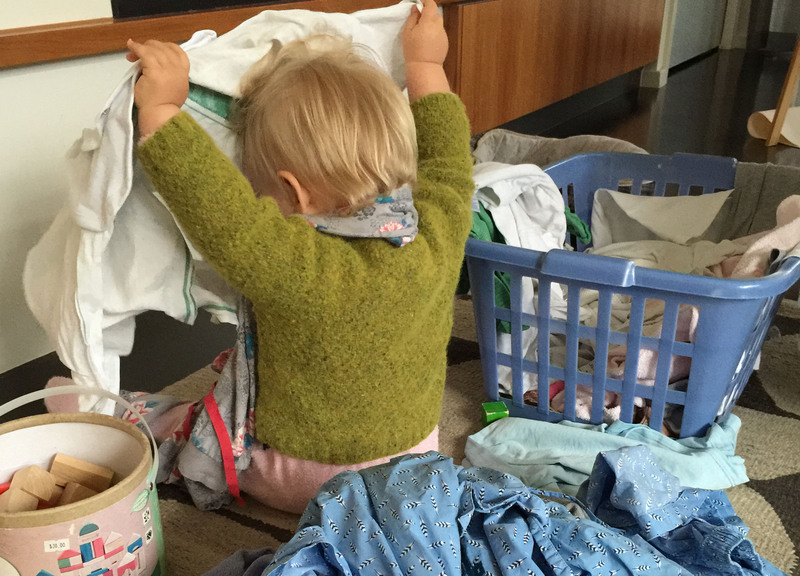 Categories: Sale! 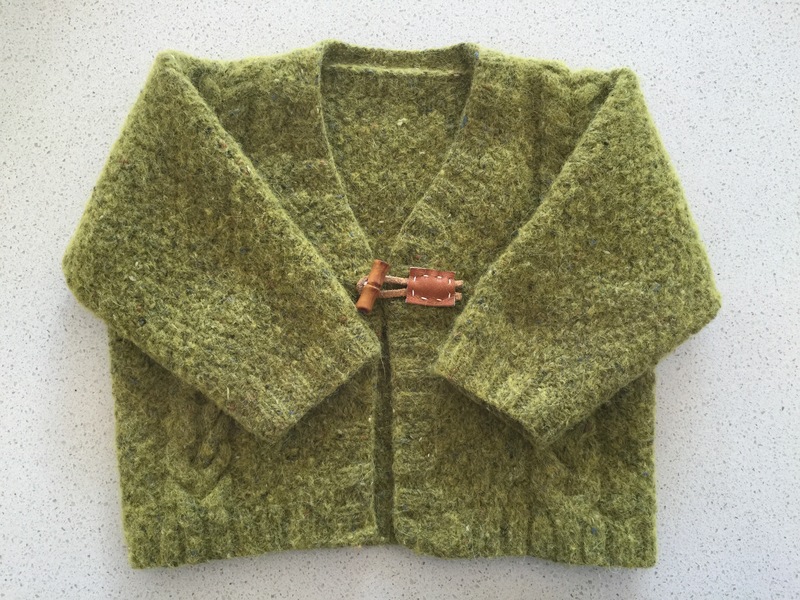 | Tags: knitting Melbourne, Sunspun, yarn sale | Permalink. Although you wouldn’t think it after the beautiful warm day we had yesterday, we are now well into autumn in Melbourne and the shop has been busy with Melbourne’s cool-weather knitters (unlike the die-hards who knit all year round!) looking for serious winter projects… So it’s time for us to return to our winter trading hours. As of this coming Monday, April 7th, we will be open from Monday to Saturday from 10-5. I If you’ve visited the shop over the last couple of weeks, you’ll have noticed that things are looking lovely here… The feedback from our lovely customers has been overwhelmingly positive which is really reassuring- you never know how people respond to change! We have one more change in the works, possibly the one that will have the biggest impact on how the shop looks and functions, and that is the installation of new shelving and storage. Most of the work we’ve done has been around shop hours but this final phase will require us to dismantle the shelving and create a big stack of yarn in the middle of the shop, which is going to make helping customers a bit tricky. Unless the shop is just too chaotic, we aim to stay open amidst the installation, so we ask you to be a bit more patient that usual! We hope to avoid closing the shop on any regular trading days but we unfortunately won’t know the installation date until a few days beforehand- we will announce any closures here, on Instagram and Twitter and via the shop newsletter, so we encourage you to follow us via one of these channels to keep informed about any interruptions! 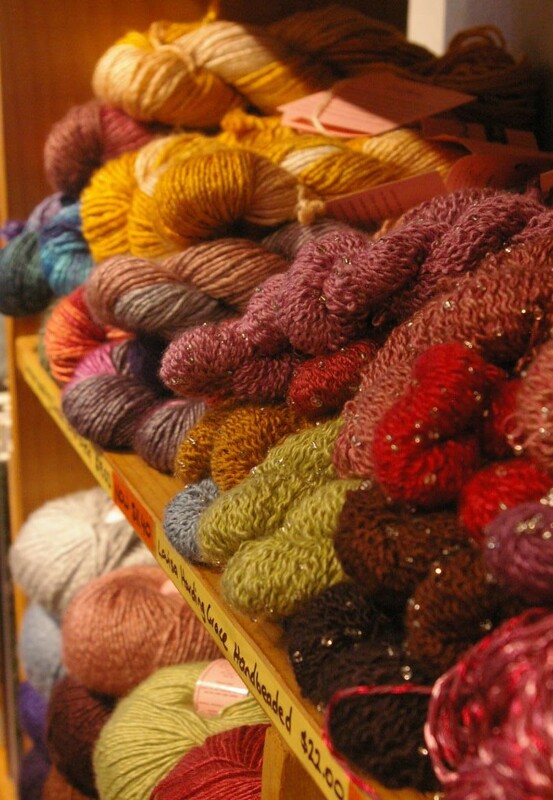 Prices for Louisa Harding yarns : Amitola $8.95 Fauve $5.70 Glisten $9.00 Grace $9.60 Grace Hand-dyed $11.40 Grace Hand-beaded $13.20 Kimono Ribbon$6.00 Mariposa $5.10 Millais $7.15 Mulberry Silk $11.40 Nerissa $8.10 Rosetti $4.80 Sari Ribbon $9.30 Thalia $5.70 Thistle $5.40 Willow Tweed $8.35 As always, these prices apply to purchases made in store, over the phone and by email. Enjoy! Categories: New, Sale! 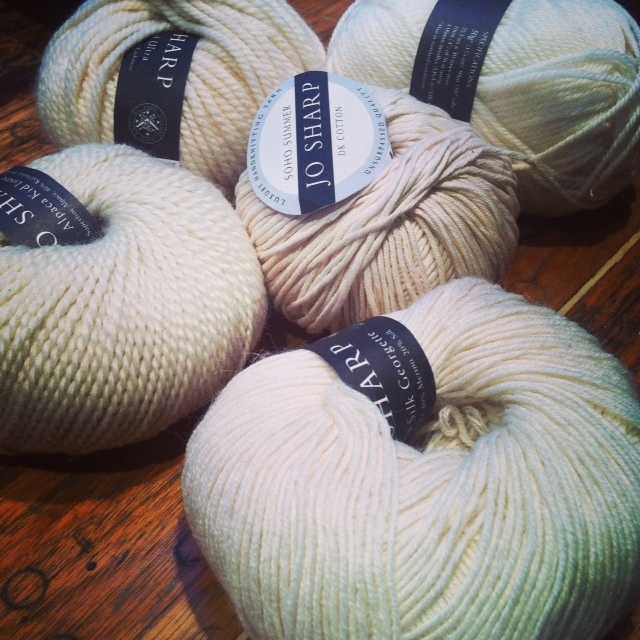 | Tags: louisa harding yarns, Melbourne yarn shop, Sunspun, yarn sale | Permalink.